Earlier today, circumstances were such that I had an opportunity to catch a glimpse at a sunrise. Granted, it was overcast, but watching the dawning of a new day can still be pleasant enough. My destination… the Virginia Arboretum (aka, Blandy Experimental Farm). For one, it’s free… and open, literally, from dawn to dusk. I visited for the first time (after living in the area for almost three years… I’m ashamed to say it took this long) only recently (November), and determined to make more visits, perhaps beginning in the coming spring. December weather being what it has been, however, it felt rather like spring this morning. So, travel coffee mug in hand, I began walking the grounds… first, in the boxwood section, and then… down the lane that ran from the “Quarters” towards the plantation house. It’s important to note here that “The Quarters” (or actually, a portion of what the building has become… since it was enlarged well after the Civil War) were actually… slave quarters. 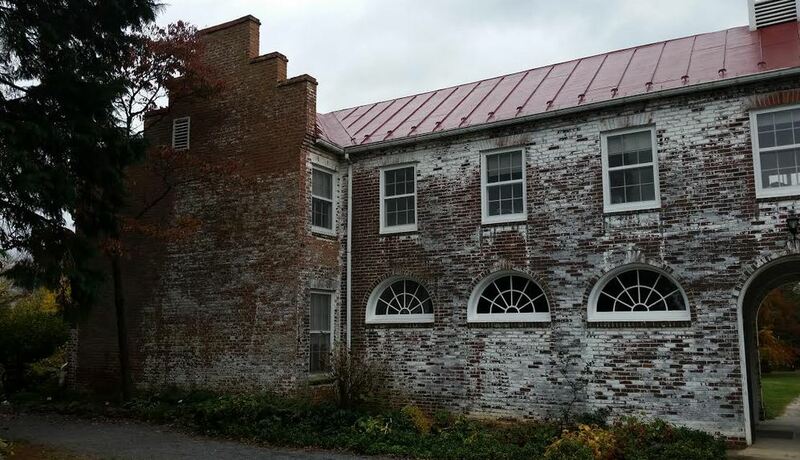 Looking at the east wing (far left) of “the quarters”, which was the actual portion which served as slave quarters. The central and west wing were built in the 1940s. Photo taken in November. 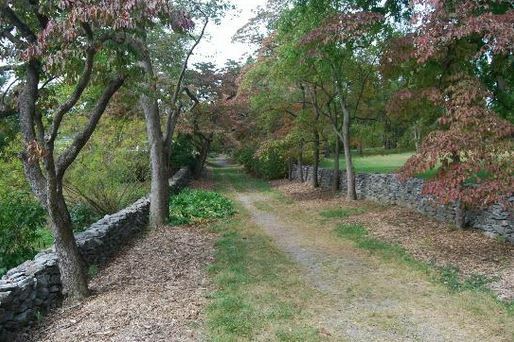 Anyways, this grassy/gravel lane is quite a scenic piece of ground… bordered on both sides by a well-maintained stone wall (somewhat reminiscent of the stone wall at Fredericksburg, I might add) and two wonderful lines of Dogwood trees. The lane from the slave quarters to the plantation house. Pic borrowed from tripadvisor. After making my way to the end of the lane I finally stood about 200 yards or so short of “Tuleyries”. Image of “Tuleyries”, from the Virginia Department of Historic Resources. 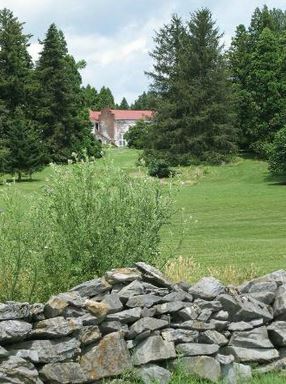 Regretfully, I couldn’t make my way to the “big house” as it is on private property… but continued to walk along the gravel road and stone wall that ran off to the right. I stopped… looked back at the lane… and, it dawned on me how the Tuley family had strategically placed the slave quarters. Not too close to the house, but within view in the distance… I don’t know… maybe 500-600 yards or so. Furthermore, I had just taken the same lane which several slaves likely frequented to and from the plantation house. Now, despite the site spilling over with history, it is an arboretum… and, understandably, that’s what is emphasized. Apart from a “mention” regarding the slave quarters, historical interpretation of the antebellum history there is sparse. Perhaps that’s OK, for people are able to focus on their respective interests… as I did this morning. Yet, without interpretation on the grounds or on the Web (meaning there is no article dedicated to that element of the story)… I think the opportunity is ripe to discuss the Tuley family and “Tuleyries” a little more in depth. With that in mind… stay tuned. If I don’t get otherwise distracted, story coming sometime soon. 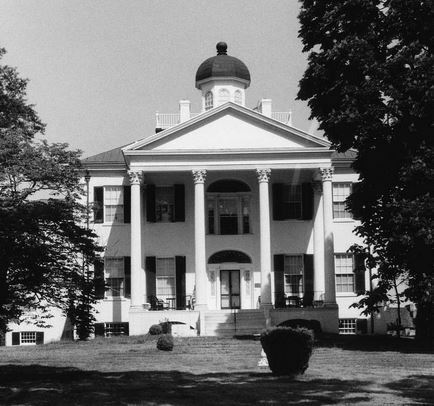 Update: See the follow-up post in which I cover the Antebellum history of the Tuley family and “The Tuleyries”.